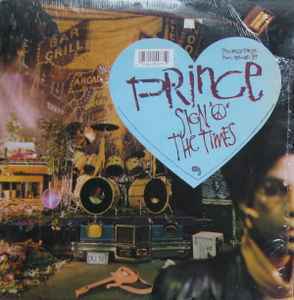 Yes, I know, Purple Rain will go down in history as Prince's best selling album, but let's be honest here, " Sign 'O' The Times" is his best period! Why? Maybe he was going through an identity crisis (aka, the Camille charater), maybe he was almost already fed up with the music biz, or maybe he just was tired of people trying to sound like him. Who knows! But it sure brought out the best music he ever produced!!! After this he never made a fully complete album, and after you listen to this you will understand why! There is no need for an overview at all, this a Prince Classic period!!!!!!! my copy has "R-261991" on the bottom left hand corner on the backside, can anyone tell me what that is. Prince's finest ! everything is in the right place and happens at the right time -' it's June (1987) a little disease with a big name' ("Sign Of The Times").From"Starfish and Coffee" , "Ballad of Dorothy Parker" to 'If I Was Your Girlfriend' we#ll find the best songs, probably ever written in some way or another , at least from this genious of a musician .